Has Facebook just spent $19bn taking a toy away from Google?
. I think we can all agree the most staggering thing in that sentence is the number. That's £11.4 billion if you're going by the Queen's currency. To try and put that into some manageable perspective, Facebook has spent more money on that little green icon than the entire United Kingdom spent on hosting the 2012 Olympic Games. The Olympic Games seems like a bit of a bargain now when you think about it, setting us back a mere £8.92 billion. In case you're thinking 'he's just being dramatic' then lets try and put it into perspective within the technology industry. YouTube, the largest online video site in the world. How much did Google pay for it back in 2006? £0.8 billion. How about Skype? Arguably one of the largest video and internet-calling companies in the world, surely that must have cost at least close to £11.4 billion? Wrong again, Microsoft paid a trifling £5.1 billion, barely even worth getting out of bed for. So why then has Facebook spent this eye-watering sum of money for an app that essentially just lets you send smileys from a BlackBerry to an iPhone? The short answer is users. At time of writing over 450 million people have that little green icon on their smartphones, with over 320 million active users every month. That's a figure that can pretty much only be bettered by the likes of Facebook who has over 1.2 billion users. By adding 450 million users from another app you're essentially cementing your hold over the user base you already have. Now you've just got them locked into your world via another avenue. To be fantastically unscientific Facebook is basically paying £25 per user to guarantee that they'll remain within the wonderful world of Zuckerberg. It's a hefty price to pay but when you're looking to secure your company for the long term the numbers are going to be understandably astronomical. 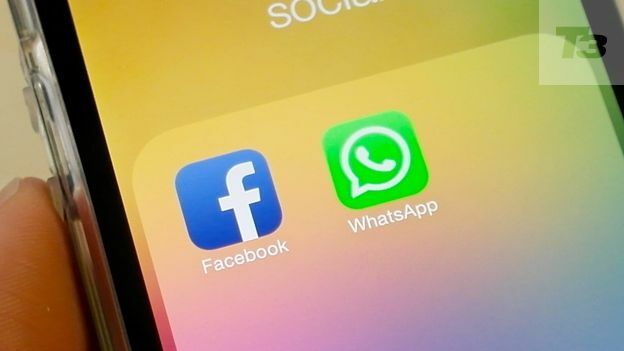 Both Facebook and WhatsApp have proclaimed from the rooftops that nothing will change, the company will simply be run with a hands-off approach, mimicking the way Facebook handles Instagram. Eventually though WhatsApp is going to need to pay up, and the most probable way it'll do that is by shepherding users from WhatsApp to Facebook. Whilst it's not clear how the company will do it the fact is we probably won't know or see any hint of it for a few years. Therein lies the issue. It's not the fact that Facebook now owns the largest messaging service on the planet (although that's a pretty hideous pill to swallow) it's more that they've added another part of the ecosystem you use to their portfolio, removing the variety, swallowing the competition. A lot of people – economists, consumers, anyone with a brain, the monopolies and mergers overseers of the world – might think this isn't how capitalism is meant to work. I couldn't really comment. "WhatsApp is on a path to connect 1 billion people. The services that reach that milestone are all incredibly valuable, I've known Jan for a long time and I'm excited to partner with him and his team to make the world more open and connected." See that word 'open' at the end there? Doesn't really fit does it. Unless of course open means making sure you 'like' it.